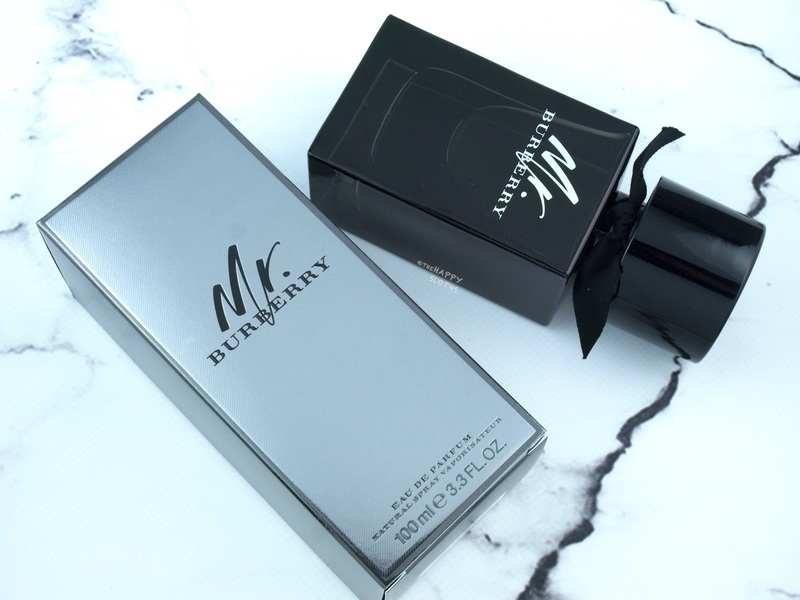 Inspired by the black Burberry heritage trench, the Mr. Burberry Eau de Parfum glass bottle is not too dissimilar to that of the Mr. Burberry Eau de Toilette, with the exception of a darker tint that conveys the more intense warmth and sensuality of the scent. The etched cap is inspired by horn-look buttons while the hand-tied gabardine pays tribute to Thomas Burberry, the founder of Burberry. 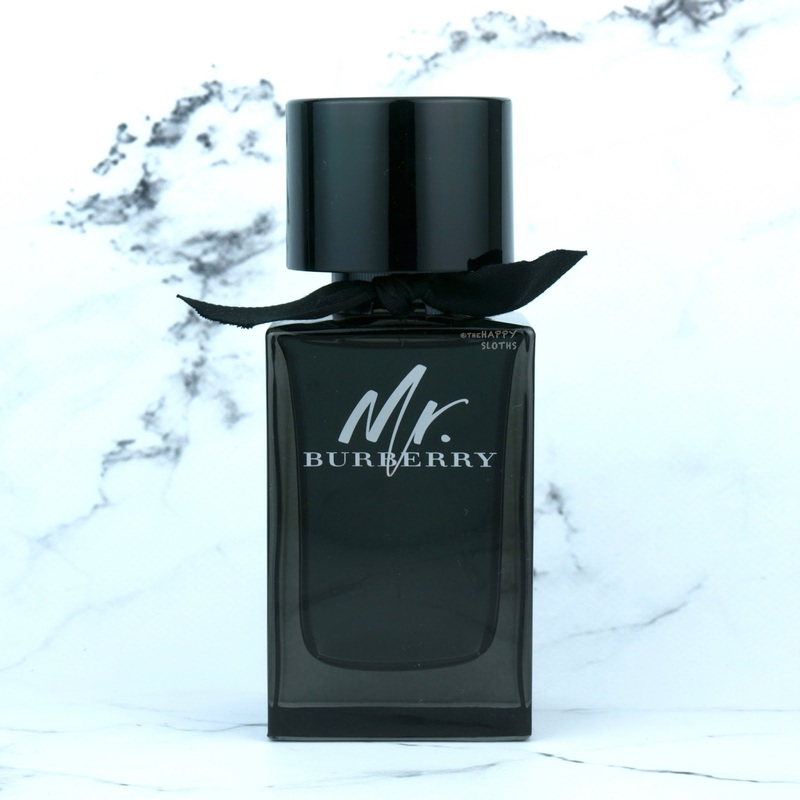 While the Eau de Toilette version of Mr. Burrberry opened with a refreshing grapefruit scent, Mr. Burberry Eau de Parfum immediately presents itself as a warm and sensual fragrance. I can pick up the lavender, cinnamon, but not so much the patchouli, which I am usually very sensitive to. What really stands out to me about this scent is the sweet and warm aroma of the amber. Unlike most fragrances with an amber note, however, the amber in this scent takes on a more ambergris quality, meaning that it's a lot sweeter in an earthy kind of way (not fruity, sugary, or woody). Top Notes: Tarragon and cinnamon. Heart Notes: Patchouli and lavender. Base Notes: Amber and vetiver. In terms of wear, I thought the fragrance did just okay for an Eau de Parfum. The scent is pretty intense but it fades quicker than expected. One or two sprays on the wrist will last about five or so hours. Overall, this is a very warm and sweet fragrance for men. It's certainly not feminine but probably more gender-neutral as compared to the Eau de Toilette. Burberry is available at Nordstrom, Hudson’s Bay, Sephora, Shoppers, Jean Coutu, and Murale.